Apple has provided participants of its developer beta testing program new builds, with the second betas of iOS 12.1, tvOS 12.1, macOS 10.14.1 Mojave and watchOS 5.1 now available to download on to devices six days after the first betas. The second iOS 12.1 developer beta has build number 16B5068i, replacing the first build's 16B5059d. The following Friday after the build was issued, Apple released additional builds of the beta, allowing owners of the iPhone XS and XS Max to trial the operating system on their brand new devices. Apple's second build of macOS 10.14.1 Mojave is build number 18B50c, up from the first build's 18B45d. Few details were provided by Apple as what to expect in the first beta of macOS 10.14.1, but the main addition is the return of Group FaceTime. Just as with iOS 12, the feature was pulled from beta before its release, and has since been returned for testing. The second beta of tvOS 12.1's build is number 16J5584c . The first beta was build number 16J5575c. Details about its contents are unknown, but version 12.1 is likely to consist of bug fixes and performance improvements, rather than new features. 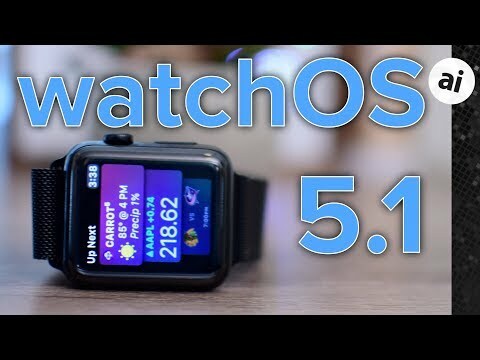 Apple's second watchOS 5.1 beta bears build number 16R5568d, up from the first developer beta build 16R5559d. How about they also back ported APFS support for Fusion drives into the kernel of High Sierra? 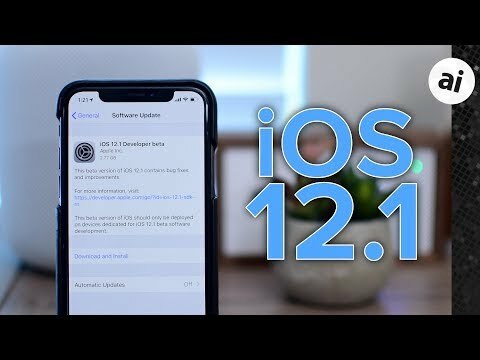 Public Beta 2 for iOS12.1 is also out now. Rocking it on my iPhone 8 and iPad Air 2. So far no problems. I look forward to testing iOS update on my new Watch 4 ... oh wait I can't B&H shipped my extended warranty two weeks ago and Apple already told me when it expires in two years in September. B&H after a week's holiday for some religious reasons have just emailed to say they still have no Watch 4s in stock. What???? I used to own several large Apple retailers and we matched extended warranties to products and sold them together! So the warranty and product match and the warranty doesn't expire out of sync with the product's age. I can't recall exactly now but I think Apple stipulate this course of action to resellers. I have written to B&H but they have not even had the courtesy to reply. I will never use them again as this is the second such incident I have had with them. They shipped a Metabones V Sony to Canon a month before my Sony A7 III meaning I was out of the 30 days return period before I could even test it, they were ordered on the same order. Apple Insider promotes B&H a lot and it was through such a promotion I thought I'd try B&H. I suggest AI look into who they promote with care!